Empress Zita of Austria, Queen of Hungary and Queen of Bohemia (*9th May 1892) died 25 years ago today. She married the then Archduke Charles of Austria in 1911. Charles became heir presumptive to the Emperor Franz Joseph I of Austria in 1914 after the assassination of his uncle Archduke Franz Ferdinand of Austria-Este, and acceded to the throne in 1916 after the old emperor’s death. After the end of World War I in 1918, the Imperial Family was forced to go into exile. After two attempts to regain the Hungarian Crown the Allies decided to send Emperor Charles, Empress Zita and their seven children to Madeira. Due to poor living conditions Emperor Charles on 1st April 1922 at the age of 35. He was beatified by Pope John Paul II on 3rd October 2004. 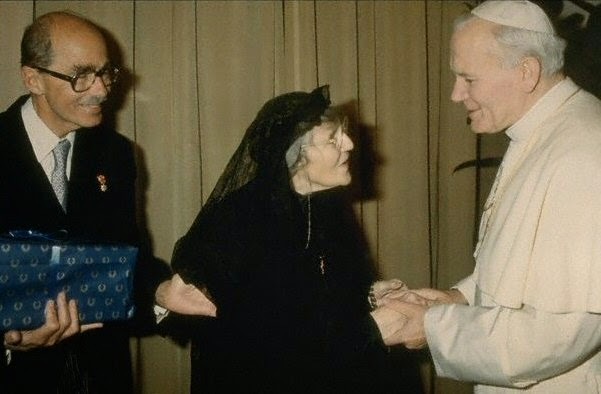 Pope John Paul II, Empress Zita and her eldest son, Archduke Otto of Austria. After her husband’s death, Empress Zita and her son, Archduke Otto, served as the symbols of unity for the exiled dynasty. A devout Catholic, she raised a large family after being widowed at the age of 29. She never remarried and wore black dress for the remaining 67 years of her life. 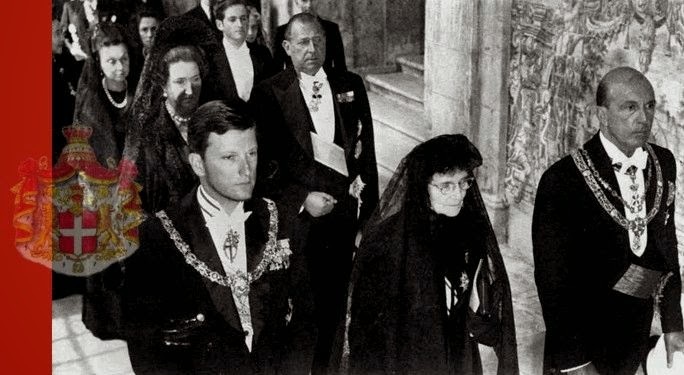 Her last big family gathering took place at Zizers, Switzerland, in 1987, when her children and grandchildren joined in celebrating Empress Zita’s 95th birthday. While visiting her daughter, in summer 1988, she developed pneumonia and spent most of the autumn and winter bedridden. Finally, she called Archduke Otto, in early March 1989, and told him she was dying. He and the rest of the family travelled to her bedside and took turns keeping her company until she died in the early hours of 14th March 1989. She was 96 years old. 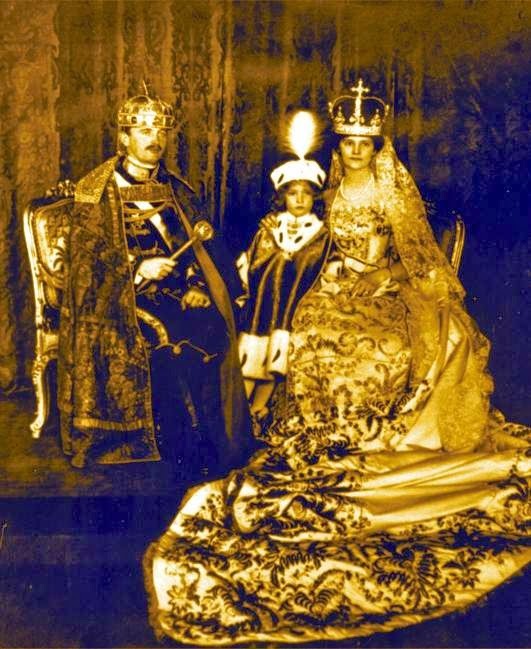 Empress Zita accompanied by King Umberto II of Italy (right) and King Simeon II of the Bulgarians (left), behind her the Count and the Countess of Barcelona. On 10th December 2009, Mgr Yves Le Saux, Bishop of Le Mans, France, opened the diocesan process for the beatification of Zita. The reason for this is because from 1899 to 1989 Solesmes (in the Diocese of Le Mans) was the spiritual centre for the Empress: three of her sisters were Benedictines at Sainte-Cecile Abbey where the Empress frequently stayed, remaining in contact there until the end of her life. Moreover, the Empress was an oblate of Saint-Pierre Abbey in Solesmes. The Association for the Beatification and Canonization of Empress and Queen Zita, Wife and Mother, has now been formed.